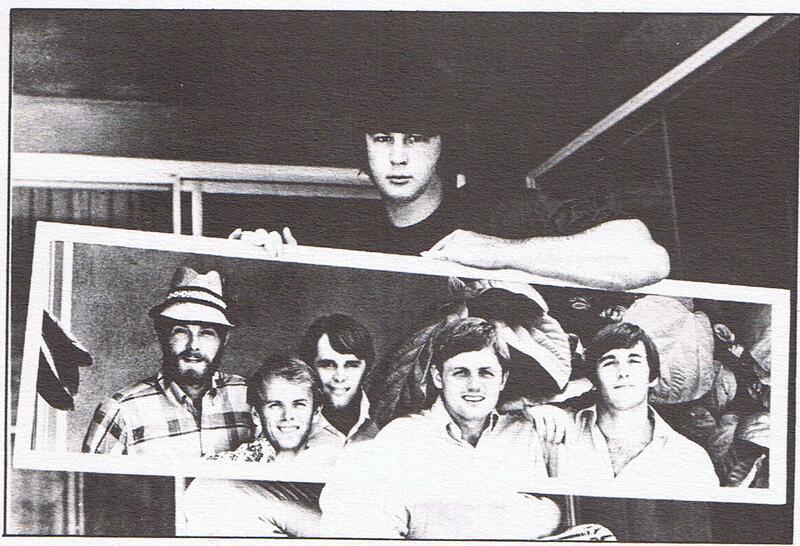 Does anyone have a good copy of that famous picture of Brian Wilson holding a huge landscape photo of the Beach Boys? It's from the Pet Sounds era, black and white. The biggest version I know is in the Badman book, and even there it is not that huge. Maybe someone could scan it for you - my scanner is crap, unfortunately. Are you sure? That's the first time I hear that. Always thought that was Brian at his home in L.A., while the BBs are on the road somewhere. Looks like a blown-up photograph, not a mirror. EDIT: Yeah, even says so in the Badman book... which doesn't mean it's true, though. It's a mirror, you can see the reflection of Brian's knee in it. Wow... you're right.. never noticed that before. Makes it even more awesome and metaphoric. The picture is a photo of Brian holding a mirror in which the rest of the BBs are standing across from him, thereby reflecting themselves in the mirror and also showing Brian's knee. This is an enclosed couryard area at Brian's house with patio doors opposite each other? I presume the photographer is standing to the left and behind the BBs? Bruce could be holding the camera. The angle is right. He's the official tripod adjuster, isn't he? Since we are on this, does anyone have the one of bearded Brian Wilson in swimming ppol with hawaii flower neclace and holding the gold disc (for Endless Summer?) Sometime mid 70's. Thanks! Bigger the better! That is a neat photo! That was the first new photo of Brian I saw after the Holland lp and I was taken aback at the apparent weight gain and the heavy beard. Powered by SMF 1.1.21 | SMF © 2015, Simple Machines Page created in 0.98 seconds with 21 queries.